#MoviesMusicPlaysFilmFestivalsConcerts: News: "A Girl Walks Home Alone at Night" on VOD and iTunes now! 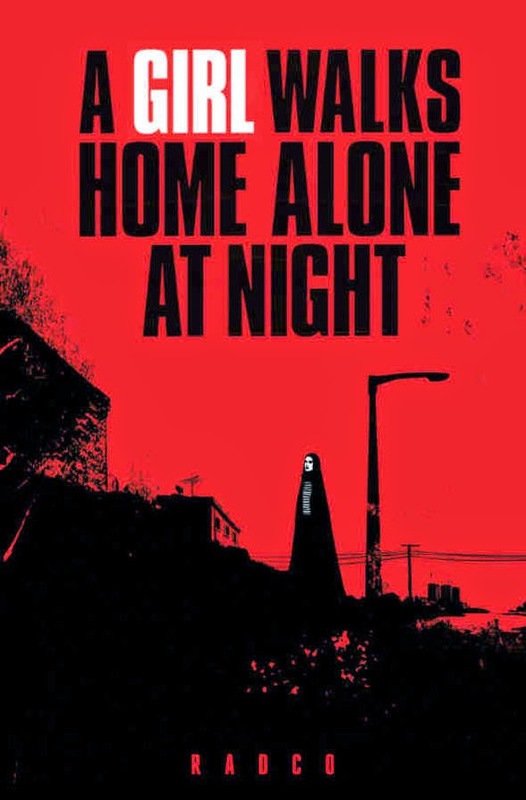 News: "A Girl Walks Home Alone at Night" on VOD and iTunes now! Biggest news for my movie buff friends! One of my top 10 favorite films of 2014 is now available on VOD and iTunes!!! Here's a sampling of more raves from top critics! "The biggest honest-to-God discovery of 2014." "... a new vampire classic, one to treasure endlessly." "Even as Ms. Amirpour draws heavily from various bodies of work with vampire-like hunger, she gives her influences new life by channeling them through other cultural forms, including her chador-cloaked vampire..."
"Just when you think you've seen it all...along comes something completely new, or at least something so intriguingly bizarre as to seem completely new." "This is a dream on your screen, absurd, languid (if not slow), and possessed by the calm of an inevitable beauty. This is what cinema was invented for." Kino Lorber is proud to announce the highly anticipated VOD release of A Girl Walks Home Alone at Night on several VOD platforms, including iTunes, Google Play, Vudu, and Amazon Instant. The film is being released in collaboration with Vice Films. On iTunes, A Girl Walks Home Alone at Night comes with additional special features, including a Q&A Hosted by Roger Corman at the Hammer Museum, and a VICE interview with Ana Lily Amirpour and Sheila Vand. The "moody and gorgeous" (The Hollywood Reporter) film made its world premiere at last year's Sundance Film Festival, and was the opening night event at the prestigious New Directors/ New Films, programmed by MoMA and the Film Society of Lincoln Center. The film went on to gather outstanding reviews and its writer/director, Ana Lily Amirpour, won the Gotham Award for Breakthrough Director.